Passions Wellness Journal is made for those looking to either launch or continue to track their healthy lifestyle. Inside the Wellness Journal you can find special pages for food facts, seasonal food calendars, measurements and conversions. Not to mention ample space for ideas and thoughts along the way! 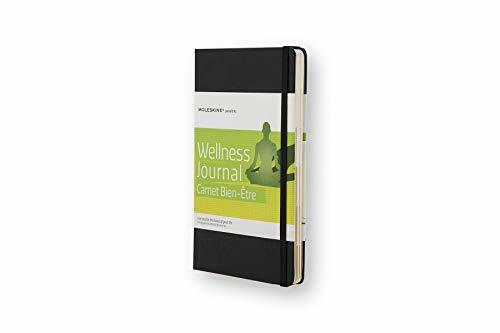 This Wellness Journal serves as an excellent companion for anyone who wants to practice and maintain staying fit and being well. And don’t worry they know diets and fitness can get confusing, so take advantage of the three ribbon bookmarks to help navigate through to your favorite journal sections. -202 adhesive labels: 40 to be used on the blank tabs, 150 with colored icons and 12 to customize the cover.